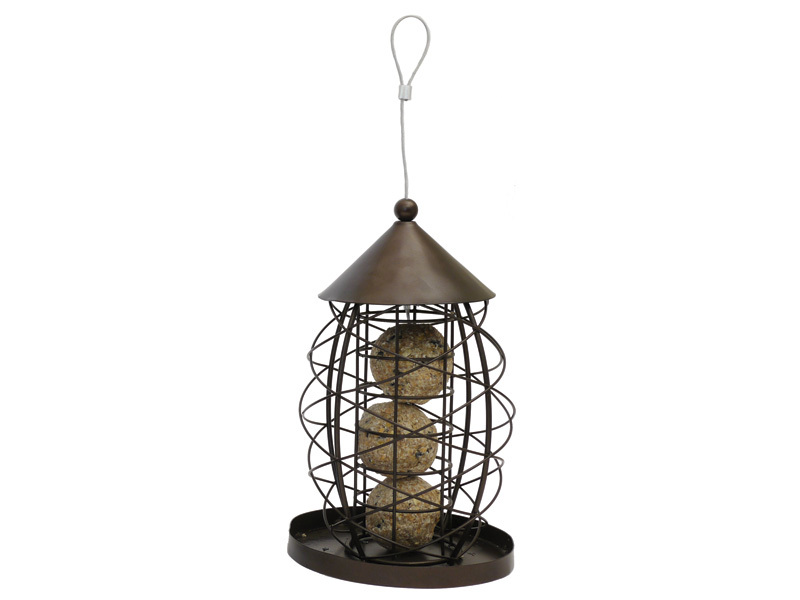 Inspired by Victorian lamps, the Rosewood Antique Lantern is styled to allow smaller garden birds to feed easily. The bottom plate reduces waste while being an ideal platform for scraps or mealworms. The lamp is finished in antique brushed bronze. There are currently no questions for Rosewood Antique Lantern Fatball Bird Feeder - be the first to ask one!